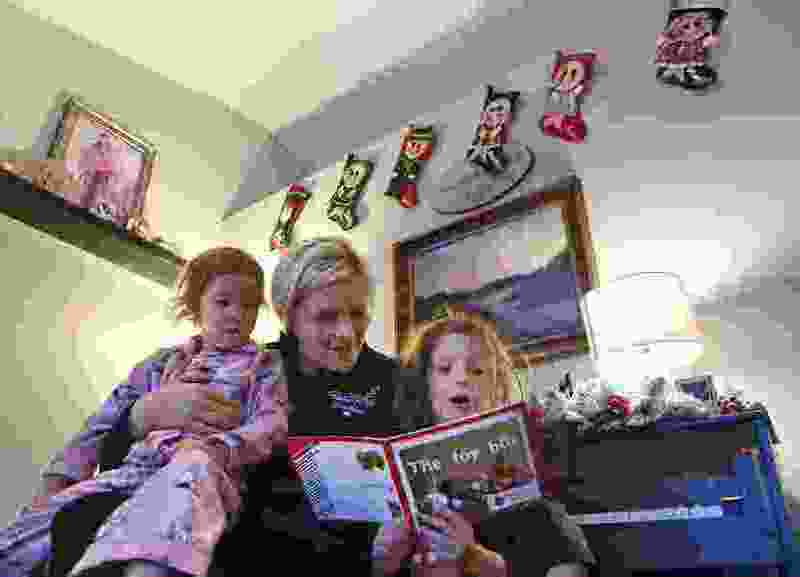 (Isaac Hale photo for The Washington Post) Becca Riding helps read a short story to her daughters Maggie, 3, left, and Lucy, 5, before school at their home in American Fork, Utah. American Fork • This is how Becca Riding, mother of five, thinks about the tax changes speeding through Congress: Will she and her husband still be able to pay swim team fees for Emily, 13, and Caleb, 11? Will Ainsley, 9, be able to go back to the weeklong science summer camp she loved? Can their family still go camping once a year in a national park? And will it remain as affordable to give 10 percent of their income to the Mormon church, as their faith prescribes? 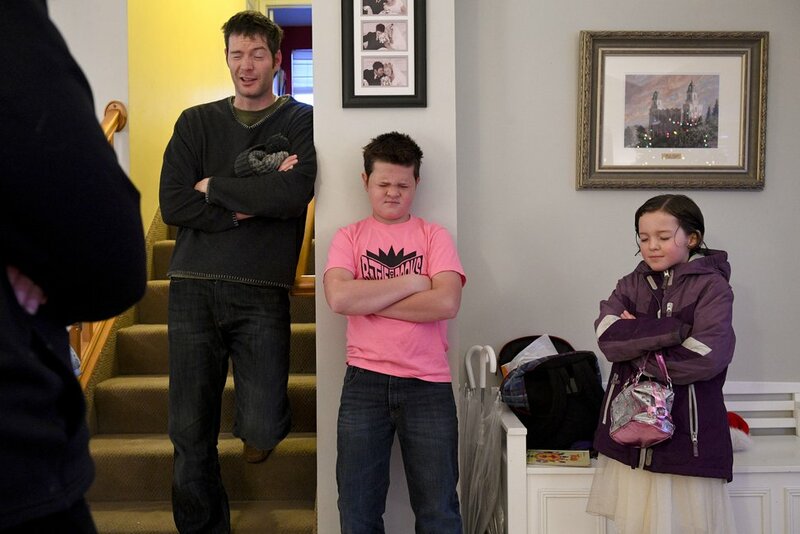 (Isaac Hale photo for The Washington Post) From left, David Riding prays with his son Caleb, 11, and daughter Ainsley, 9, as the children prepare to head off to school. Riding, 38, and her husband, Dave Riding, 40, both Mormons, donate 10 percent of their income each year to The Church of Jesus Christ of Latter-day Saints, just like many of the Mormons who make up a majority of Utah's population. This strong tithing tradition helps explain why Utah has one of the highest charitable giving rates in the nation. It's also part of the reason Utah can look like a coastal blue state come tax season, as residents give so much to the church that they use the charitable deduction more often than people in other states. Watching the tax push on Capitol Hill from 2,000 miles away — and trying to figure out what it means for them — has been dizzying for Becca and Dave. 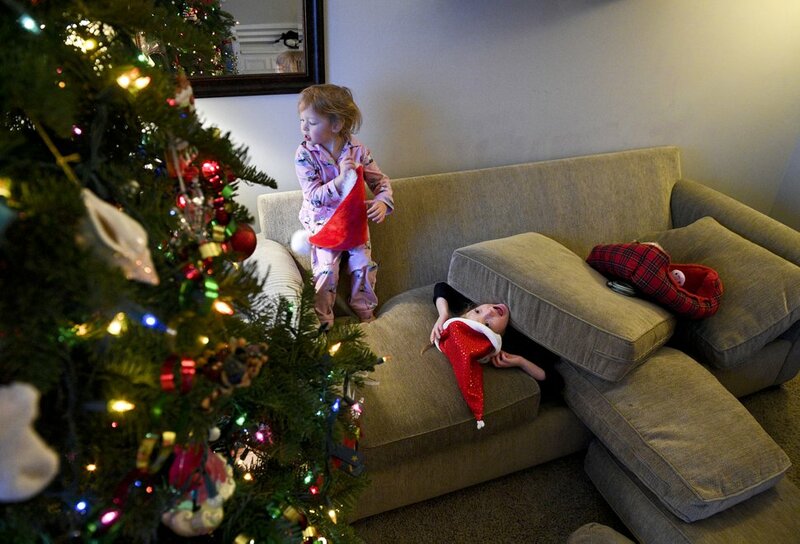 (Isaac Hale photo for The Washington Post) Maggie Riding, 3, left, and her sister Maggie, 5, play with Santa hats in their living room. Dave earns about $100,000 a year as a software developer. Becca works one day a week at her mother's small business. They consider themselves fortunate, but providing for five children is not easy. They have played around with different online calculators to estimate what would happen to their taxes next year — whether, in their minds, they could still go on a family camping trip. Last summer, it was to Zion National Park. Next summer, they want to visit Redwood. The calculators' answers ranged from a few hundred dollars more in their pockets to $1,600 more in taxes. Independent analysts say most families should get a tax cut — at least until the individual tax cuts expire — but it is hard for any given family to know with certainty.